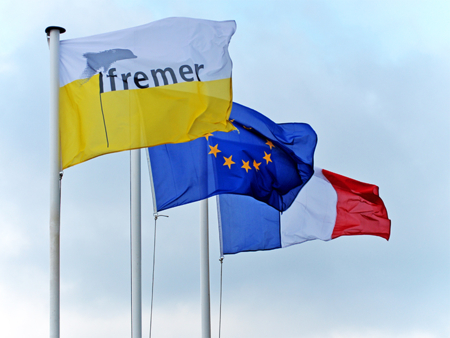 IFREMER is a French institute that undertakes research and expert assessments to advance knowledge on the oceans and their resources, monitor the marine environment and foster the sustainable development of maritime activities. 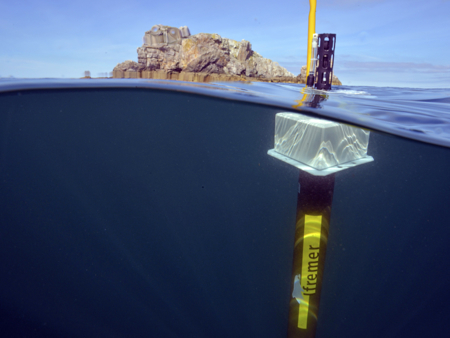 As an integrated marine sciences research institute, IFREMER’s four scientific departments contribute to national research and innovation as well as to the European research landscape. Ifremer's research supports the deployment of maritime policies : implementation of the Water Framework Directive (WFD), the Marine Strategy Framework Directive (MSFD) , human and animal health policies, the Common Fisheries Policy (CFP), aquaculture and national biodiversity strategies. The four scientific departments are the pillars of IFREMER’s scientific production. The Department of Marine and Digital Infrastructures (Infrastructures Marines et Numériques — IMN) provides services and conducts projects to create or modernise research infrastructures and advocate them to relevant national and international funding agencies. The Department of Biological Resources and Environment (Biological resources and Environnement — RBE) studies the living resources in the oceans to highlight their value and promote sustainability and the socio-economic development of the marine sector, particularly fishing and aquaculture. The Department of Oceanography and Ecosystem Dynamics (Océanographie et Dynamiques des Ecosystèmes — ODE) focuses its activities on observation, modelling and understanding the physical ocean at various scales, as well as coastal pelagic and benthic ecosystems. The Department of Physical Resources and Deep-sea Ecosystems (REM) tackles scientific and technological challenges. Its research involves the study of the seafloor and the sub-seafloor, the geological evolution of continental shelves, past climate variation, geological risks, biodiversity and the dynamics of deep-sea ecosystems and the interaction between the biosphere and the geosphere on scales ranging from bacteria to the glacial cycles.